The loudest applause, predictably, was reserved for the Indian contingent. But what surprised many, perhaps even the participating athletes, was that the 60,000-plus crowd chose Pakistan for the second-loudest cheer. 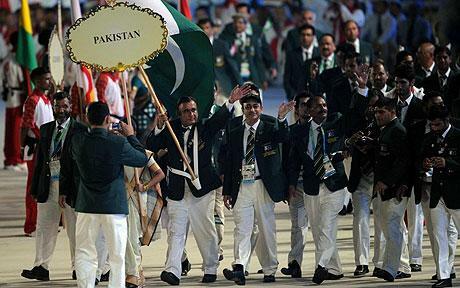 If sheer crowd applause was any measure of the popularity of the participating countries, the 54-member Pakistani delegation, distinct in their green coats, was by far the most loved after India. Of course, the Indian delegation, led by flag-bearer Abhinav Bindra, was received with a standing ovation across the stadium, with even President Pratibha Patil and Prince Charles standing up to welcome the participants. UPA chairperson Sonia Gandhi was the last to sit down after the resounding applause that lasted several minutes. In contrast, to the embarrassment of the Organising Committee (OC), as soon as its chairman Suresh Kalmadi stepped on stage to make the opening remarks, a rather cold silence descended, following by distinct booing. The only exception was when he mentioned Delhi Chief Minister Sheila Dikshit, whose name was greeted with loud cheers. Besides Pakistan, other cricket-playing countries also received loud cheers. In fact, the British participants struck a chord with the host country with their choice of outfit — white kurta with the signature Nehru collar and a red jacket. The marching members of the 371-strong contingent turned out in the best of fashion inspired by India.